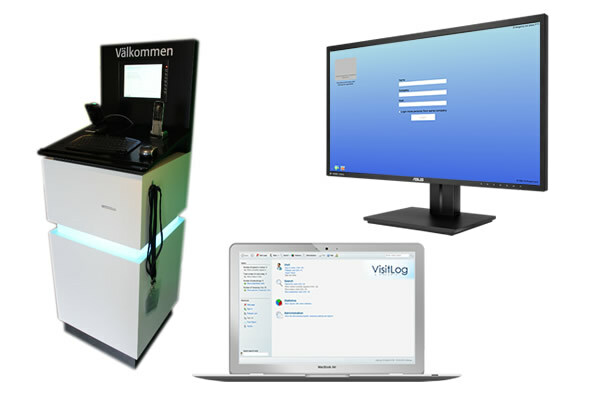 Visitlog provides hardware packages to its customers according to customer's needs and wants. Our leader Visitlog-Full package will promptly improve your reception zone. 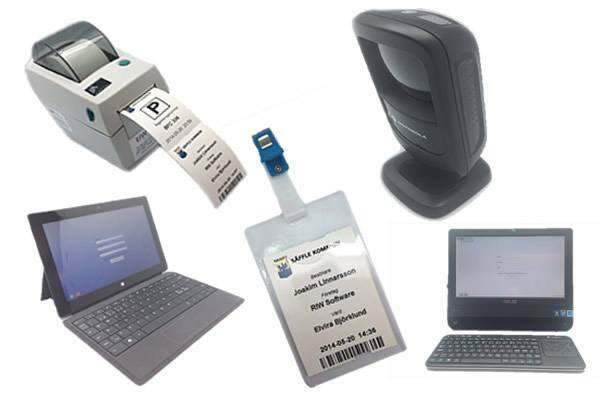 It is made up of a Asus Computer screen, Zebra label/badge printer, motorola scanner , Software, Plastic pockets, Badge clip and strings, microsoft surface tablet and badge/label paper. The Microsoft surface tablet utilizes optical engineering coming about within a reaction . 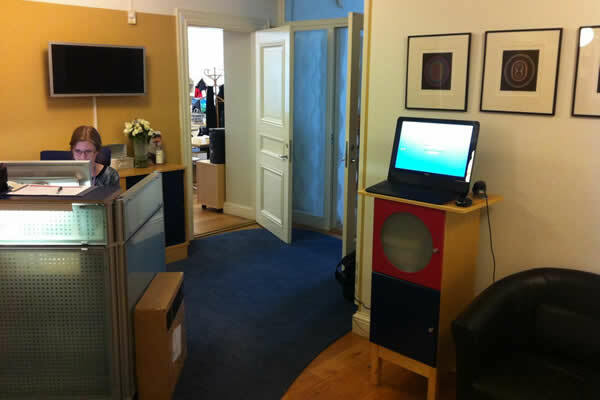 The setup is thin line, just requiring a little bit surface to sit on and it has low running noise making it simple to hear visitor compliments on how straightforward registration process is. This works close by the Zebra Label Printer.The Microsoft surface tablet touch screen is a additional equipment which is optional. 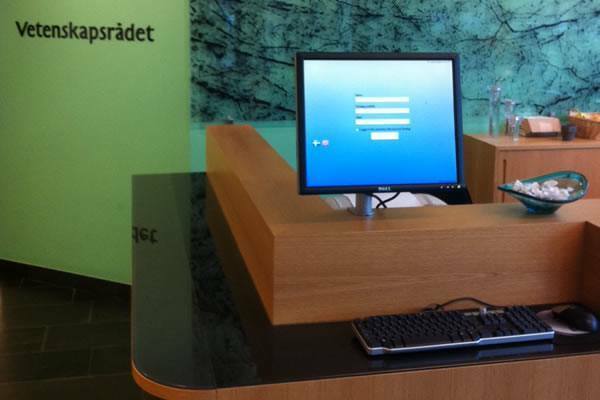 A tablet consumes almost no room on the work area; however it reflects the self-registration screen and permits the receptionist to monitor the screen and offer support if needed. If Any customer wants to choose smaller option of visitlog then "Visitlog basic" is the modest option. If the reception area is small then VL Lite works well or or it could be housed in an open air box to permit visitors to check-in or check-out without needing to go inside. 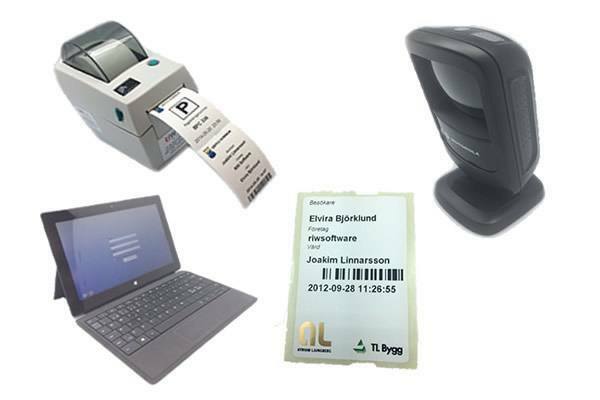 VL Basic includes of Zebra label/badge printer along with microsoft surface tablet screen, motorola scanner , Software, Badge/label Paper. This package provides amazing system execution in an energy efficient package that consumes much less power than the average Asus desktop PC. The microsoft surface tablet screen is comparative in size to ipad and has a particular ultra-brilliant display that is ideal for open air circumstances. This package is a compact and adaptable hardware settings that keeps on delivering all the capacities of the Visitor. We respect the chance to work with you in building the complete custom set up. 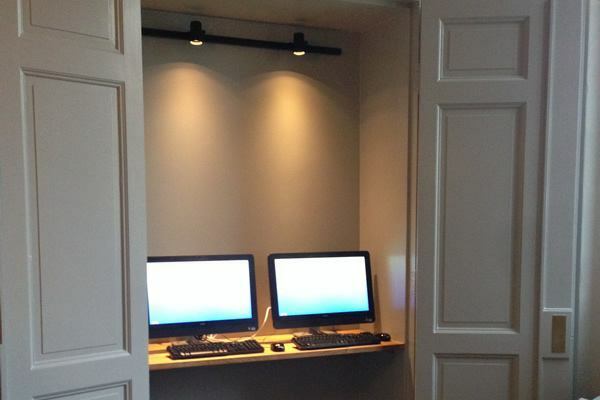 Some of our client uses their own structure to set up custom kiosk as VisitLog is as simple and flexible. If our client wish to change the structure or wish to upgrade their visit system , it’s an incredible time to consider a custom kiosk.